It looks like something for cosmetics but I didn't receive anything like it. Is there a part number you can use to look it up on SAP? That might give you more insight. did it go in the skincare aisle ? Anyone else overcome with how dusty cosmetics is? We went through a whole box of sniffers just yesterday. 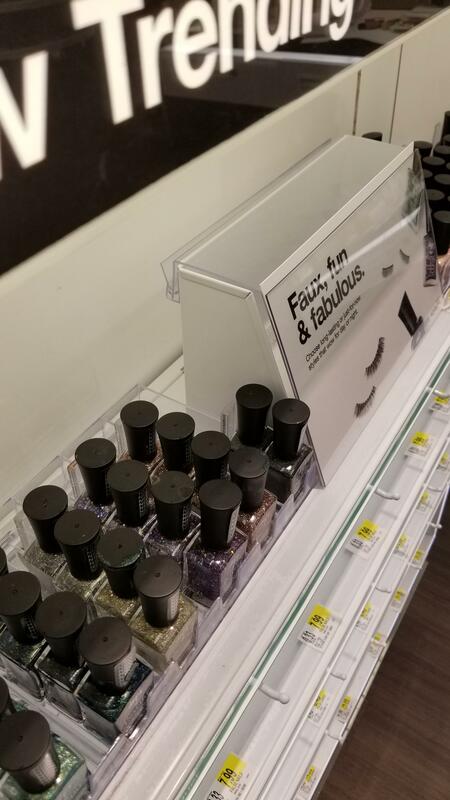 As we moved the shelves in Maybelline, we dusted out the pushers. Disgusting. All it would take is once a week going through. But no hours for that I guess. Is it for the top of the Pacifica shipper that was late? For the fragrance POG? It's for the naturals table in blowout stores. You should have like 4ft on a wall in the backroom 😜 I've setup two of your stores now, lol. Oh good lord that's horrible. That's not bad then. The allocated space was a joke. The magnetic light strip? I think they go on Mens Premium A and Mens Premium B. at least for my store. had to type in the part number on the zebra to see the pogs that it was on. I am just putting them under the shelves. The fixture guide called for them on the male soap, we put them on the back of the header bar since it looked like there was a glow there in the VA. We have way more than we need so we might just put them on both. Anyone know what fixture I need for this?! I can’t find it on the planogram! I’ll have to order! Thank you! Could you possibly cut the step 2 side into a 12x12 without cutting off the picture and logo? I did it to our Milani 12x36 using two separate signholder. Redid NYX and nail tables today as part of fixture audit. Same. I'm missing a good chunk of the 10inch ones.